"The future does not belong to those who are content with today, apathetic toward common problems and their fellow man alike, timid and fearful in the face of bold projects and new ideas. Rather, it will belong to those who can blend passion, reason and courage in a personal commitment to the ideals of American society." “Honoring the Hands” is a multimedia project that has been created by passionate individuals who believe in advocacy through the use of their artistic voice to help raise awareness for migrant and seasonal farmworker healthcare. Through film, photography, design, and written and spoken word, “Honoring the Hands” was created to pay homage to the men and women who bring exemplary passion, reason, and courage to their life’s work on behalf of those who grow and harvest our food. 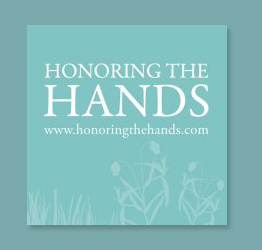 If you are a member of Facebook, join the Honoring the Hands group and help grow our community.